is the stage name of Andrey and Ruslan Fomenko. Their acts are little plays, funny stories about the relations between two absolutely different characters. A trifle causes a conflict situation that both try to get out of by means of magic tricks and absurd actions. 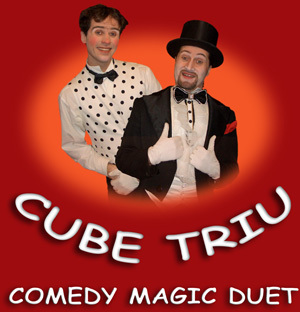 So, welcome to "Cube Triu"!